Armature Neue Sans is a geometric sans typeface created by Bob Aufuldish and published by fontBoy that comes in six weights and their italics, alternates characters and a stylistic set. This display font is a new version of Armature Neue family. With a monoline design you’ll find very important details that will complete the look of this typeface. 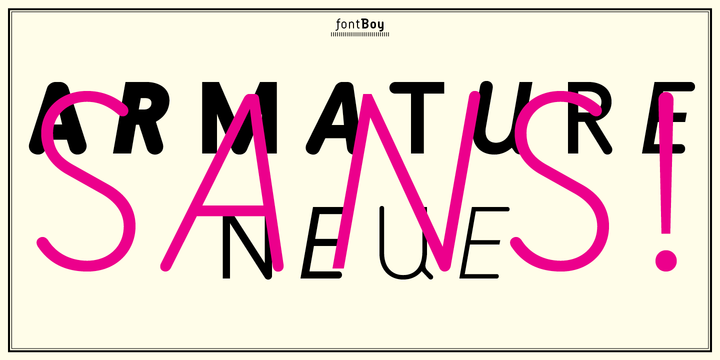 A font description published on Tuesday, May 13th, 2014 in FontBoy, Fonts by Alexandra that has 3,411 views.